Shut the storybooks of old and open a new chapter with Ever After High, where the teenage sons and daughters of famous fairytales decide whether or not to follow in their parents’ fabled footsteps. When not walking the storied halls of school, these fairytale students spend their free time in the Village of Book End. Cafe lovers head to The Beanstalk Bakery, where the hocus lattes are enchanting and the food is magic. Mixing beanstalk vine icons on the counter frame with a hanging lantern and fableous book details, this delightfully designed eatery has something for everyone. 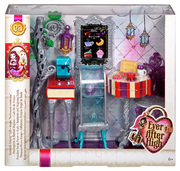 Ever After High students can check the ornate display case to make selections (doll sold separately); pull up a chair to the counter or table; order a cupcake, croissant or slice of cake; and sip coffee that’s made just right with the espresso machine, while catching up on the latest happenings. For a touch of magic (and functionality), the chalkboard menu board doubles as a picture frame sized to fit school IDs for easy portability (if girls choose)! Additional pieces, like a laptop and doll-sized to-go coffee cup extend play to endless chapters. 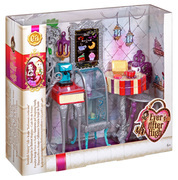 Girls will love displaying their dolls and recreating the world of Ever After High with the display sets. Collect both of them (sold separately) for never-ending storytelling fun. 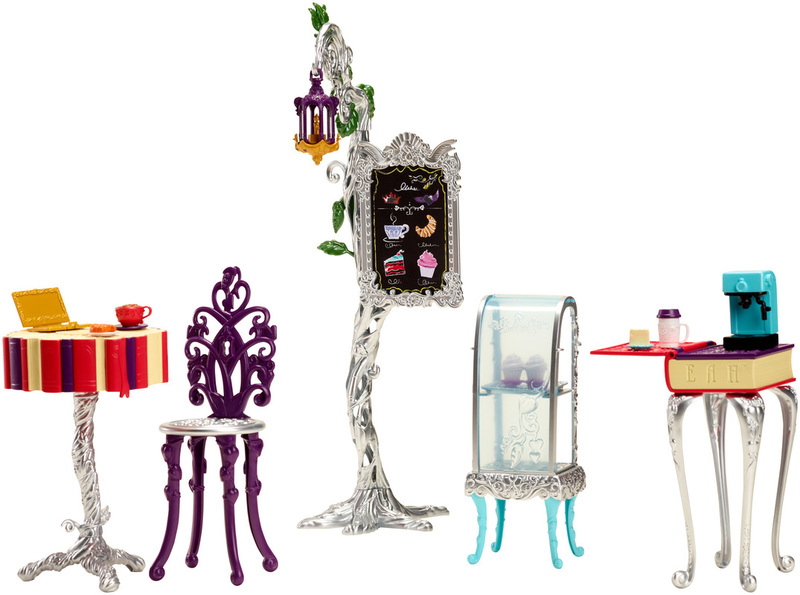 Set includes counter frame, food display case, table, chair, lantern, espresso machine, fancy coffee cup, to-go coffee cup, cupcakes on a plate, croissant on a plate, slice of cake on a plate, one tray and one laptop; doll not included. Colors and decorations may vary. Ages 6 and older. Girls will love displaying their dolls and recreating the world of Ever After High with this Beanstalk Bakery set. 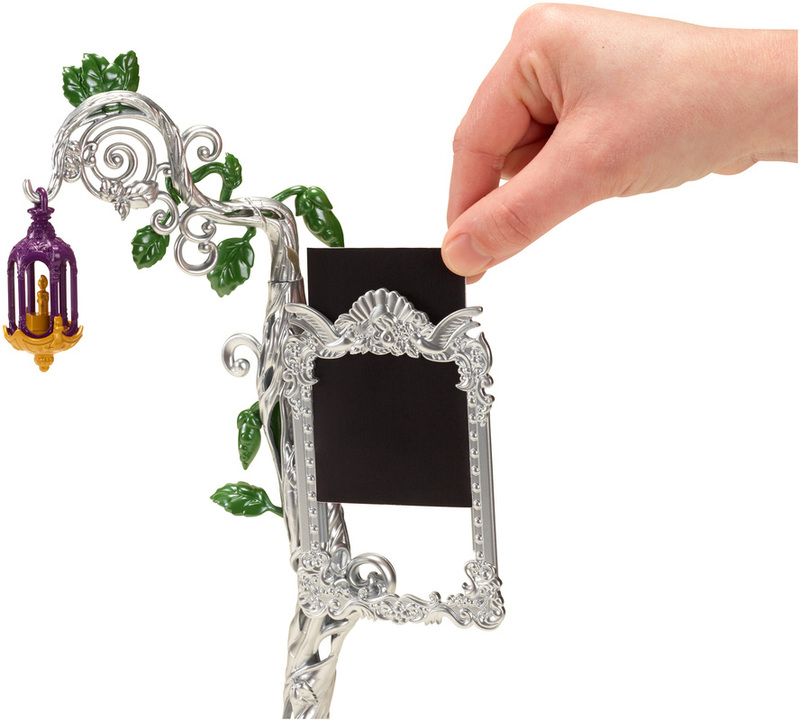 Mixing beanstalk vine icons with fableous book details, the delightfully designed counter features a chalkboard menu board that doubles as a picture frame sized to fit school IDs for easy portability (if they choose). 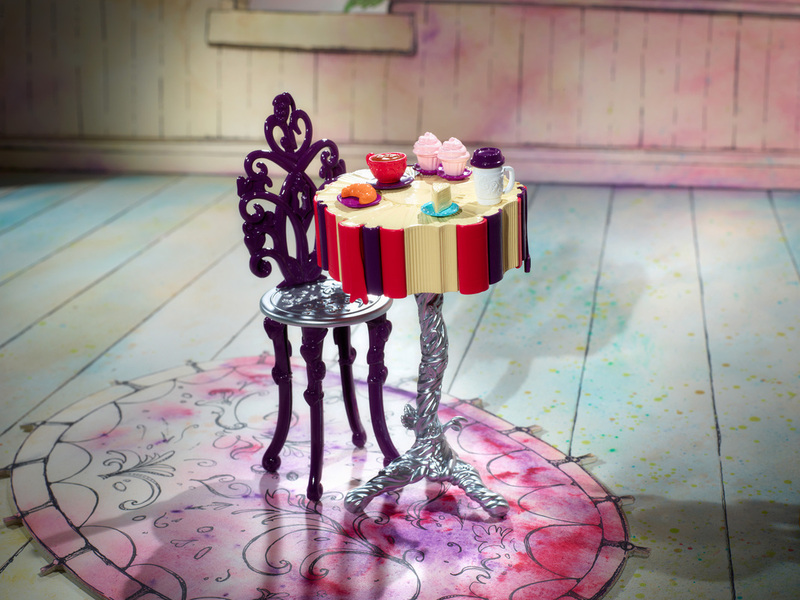 An ornate display case holds selections, like cupcakes, croissants and cake. Pull up a chair at the counter or table and sip coffee that’s just right while catching up on the latest happenings -- or take the coffee to go! 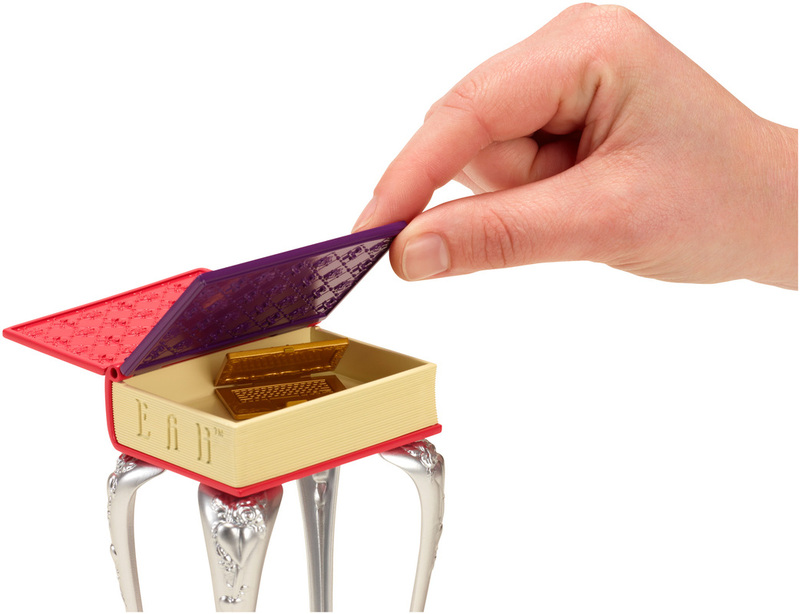 Additional pieces, like a laptop and doll-sized to-go coffee cups extend play to endless chapters.